ClearVue HD is a stand alone unit that provides professionals with instant enhancement of video streams that have been degraded by atmospheric factors such as fog. The groundbreaking product examines each pixel of a fogged image and by a patented process instantly corrects it so that the original sharpness and natural colour is restored. Detects fog, and applies this information as a text message on the video screen. Highlights the level of hazard with a colour coded warning n the screen, to attract the attention of a video control room operative. All ClearVue models are also capable of enhancing the capability of existing cameras in low-light levels. Retaining colour information useful for both broadcast and surveillance applications, information that would otherwise be lost if a monochrome camera, image intensifier or thermal imager were used. 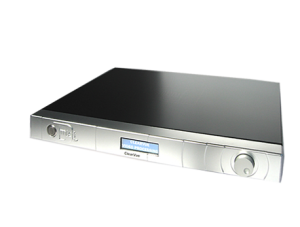 The ClearVue unit automatically provides optimum enhanced video for a variety of input/output video standards. The unit is a fully CE certified product in a standard 19” rack, 1 U high (1.75”, 44.5 mm), housing. After initial set-up, using the front panel control, there is no need for further user intervention. Because of the innovative method of correction and the speed of processing, ClearVue works on real-time video streams such as outside broadcast feeds. The unit automatically senses and adapts to changing weather conditions and requires no user intervention after the initial setup. When real time video feed is not available ClearVue is able to process pre-recorded video tapes and clean up the video image.This is particularly useful for legacy recordings made in adverse environmental conditions.